Hibbett’s Pest Control Pty Ltd is a local family owned and operated business. 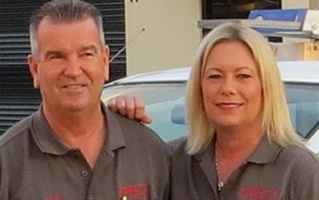 The Hibbett’s Team consists of owners Brian and Tracy Hibbett and three dedicated and highly trained pest / termite technicians. Based on Brisbane’s Northside working from their business premises at Arana Hills, the team services the greater Brisbane area. Our goal is to provide our customers with the highest quality pest control services and termite inspection and termite management services. We pride ourselves on our personalised customer service and strive to achieve 100% customer satisfaction. All of the Hibbett’s Technicians are licensed and qualified with full industry certifications to give you the right advice and high quality service you expect – every time. We offer free quotes over the phone for all general pest control and offer free on-site quotes for all termite treatments with no obligation. Our advice is free and our time to meet with you at your home is free in order to provide you with the best outcome and ongoing termite protection for your home. 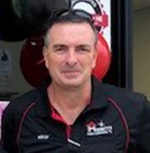 2016 marks the 20th year for Hibbett’s Pest Control Pty Ltd. During this time owners Brian and Tracy have ensured the business remains small with an emphasis on quality. The opportunity has certainly been there to grow the business to include a large fleet of trucks and a large contingent of staff. Instead our goal has always been to keep the business client focused with attention to detail. Brian and his team of Technicians know our clients personally, and enjoy meeting them year after year providing a real continuity of service. All our team are highly qualified and fully licensed to address all your pest and termite issues. Hibbett’s have many industry accreditations and are fully insured which gives our clients peace of mind knowing their needs will be met to the highest industry standards. Visit our office at Unit 12 / 1147 South Pine Road Arana Hills or contact by phone or email. Brian and Tracy started the business together in 1996 with the vision to create a business with the focus on attention to detail, and building a relationship with our clients which would last year after year. Thanks to the loyalty of our many customers, some of which have been using our services since 1996, our business continues to prosper. We pride ourselves on our customers returning to use our services year after year and recommend us to their family, their friends and their colleagues. After 20 years of hands on tools each day, Brian has earned an afternoon off each week to play his beloved lawn bowls with his many friends and colleagues at Everton Park Bowls Club. Tracy divides her time working in the office and enjoys working in the truck to utilise her skills as one of only a handful of female licensed pest and termite technicians. Builders and concreters are often surprised to see Tracy on site to install termite reticulation systems which is all in a day’s work and a nice break from the office work. 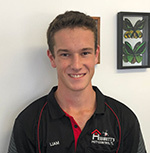 As one of Queensland’s youngest fully qualified Pest / Termite Technicians Liam has worked with his father in the family business from a very young age. Working weekends and school holidays in the truck with Brian gave Liam a solid knowledge base of termite identification, how best to apply termite chemical treatments and termite eradication programs. Liam was chosen by the Chemical Company BASF to undertake termite treatments on homes with extensive termite infestations in order to evaluate the new Termidor dust and foam formulations. This experience has given Liam invaluable knowledge on how best to approach termite infestations in homes and how best to provide the most effective outcomes to achieve a full elimination of termites and provide future termite protection to our client’s homes. We are delighted to announce that Senior Technician Kelly Croton has joined our team bringing with him over 12 years of continuous experience in the pest and termite industry. 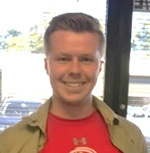 Kelly’s knowledge of termite eradication methods and termite chemical treatments makes him a valuable asset to our team. Kelly’s a country boy at heart and his attention to detail on all jobs is second to none. Chris joined the Hibbett’s Team as a qualified engineer who wanted a more ‘hands on’ role rather than spending his days in an office. Chris relishes his new role as pest control technician and has completed his formal termite qualifications. His engineering expertise has brought a great dimension to our business with regard to his knowledge of building construction, timbers and structural design. Sylvia joined the Hibbett’s Team in January 2016 and has relished her role as Office Manager. Sylvia has an extremely courteous and friendly personality and takes our clients bookings, and looks after our very busy office ensuring our booking confirmations and reminder letters to clients are kept up to date. Sylvia also has the task of preparing our Technicians for their busy day ensuring they can walk in the door each morning and confidently pick up their tray and it will be methodically organised to ensure their day – and yours, runs perfectly to schedule. Her attention to detail makes Sylvia the go-to person when our Techs need anything organised. Sylvia is also a licensed Pest Management Technician and enjoys working on site with the Technicians on occasions. Being formally trained in all facets of pest management means not only will Sylvia be the friendly voice on the phone but you can be confident in knowing you will receive the correct and most up to date advice on all your pest control matters.